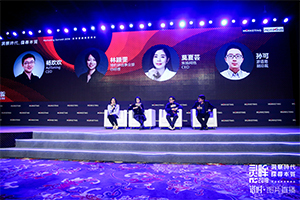 Today, with narrowing benefit in the Chinese Internet market, many developers have chosen to go global. However, it’s not easy to make money in the overseas market. Developers must make the choice between IAA and IAP. When they use advertisement as a monetization tool, they will have to consider how to maximize the value of traffic and make the most of it, meanwhile balance user experience and monetization to make sustainable revenue growth. During the decade of mobile growth, programmatic ads went through rapid development, the Waterfall model has also been updated and evolved. For developers looking for monetization solution, it is vital to choose a suitable ad platform. To mitigate risks, most developers will use more than one ad platform for monetization. 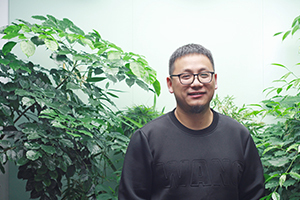 Once they’re connected to more ad platforms, developers will consider how to allocate traffic among different platforms – and Waterfall, as a tool for traffic allocation came into the market. In this blog, we will introduce the mechanism of Waterfall model to help developers find the Waterfall that suits them best, further understand the process of monetization, and finally, maximize their monetization revenue with ad mediation platform. Besides the basic function of traffic allocation, the main benefit of building a Waterfall is to improve fill rate and increase eCPM. With Waterfall, the mediation platform ranks the other ad platforms according to different weigh, then fill the inventory in order; while the weigh Is mainly set according to the eCPM of platforms. When there is traffic left unfilled from the upper Waterfall level, it'll be streamed down to the next level, until all traffic is filled. Therefore, Waterfall model can help developers to have higher Filled Rate. The weight of different platforms is calculated based on eCPM. Since different country performs distinctively towards different ad format, we usually use Placement + Country segment data to better distinguish eCPM. If no enough data is available, then we refer to the average data of certain Placement + Country; if the average data is not deficient, we use the default value. Most Waterfalls calculate eCPM in this model. SDK (software development kit) is a package of certain software, framework, hardware, platform, and operating system that is needed for developing an application by a software engineer. Integrating with SDK allows for innovative ad format to be displayed in the developers' app, such as playable, rewarded video, etc. ; meanwhile, it supports the most advanced ad anti-fraud technology. After integrating mediation platform with SDK, developers will have access to more user behavior data in the app, so as to better support product upgrade and ad performance optimization. Online API (Online Application Programming Interface) is a set of predefined functions provided to application developers to have access to one software on another software/hardware without having to have the source code or understand the detail working mechanism of each other. Integrating with API allows developers to have banner, native, open screen ads. Since the coding is done by developers for the integration, they will have stronger control over the allocation of traffic. It’s easy to integrate and flexible for adjustment. To integrate mediation platform with API allows developers to have more access to ad campaigns provided by different ad platforms so as to increase filled rate. However, since API only support limited ad formats, the eCPM usually run lower than SDK. The only exception is for branding ads, the mediation platform can request them in parallel. With a piece of JS code provided by the mediation platform, ads will be displayed in-app with WebView. The requests are usually completed in series. The eCPM runs between SDK and Online API. Moreover, there’re mature RTB solutions in the international market providing a fixed eCPM for every bid. The bid requests can be processed in parallel. But developers need to compare the price with the internal price setting and adjust the Waterfall by themselves. Many vendors are in the field of RTB ads, but their fill rate and ad quality are uneven. Developers need to go through trial and error to find the best solution for their apps for a different category. When developers have a great amount of traffic for sales, they may build their own Direct Sales department to attract some Branding advertisement to further increase eCPM. They will set priority on the Waterfall, giving better traffic to their direct customers and leave the rest for ad networks. To conclude, the Waterfall has diversified from one simple and easy traffic allocation model into various other forms. And many giant developers have also equipped their own Direct Sales team with the Waterfall model. Waterfall has become very complicated now. How to Make an Adjustment of the Waterfall? With the development of technology, the Waterfall can handle with more complicated ad requests. Some platform allows developers to set a floor price, namely the eCPM of filled ads will not be lower than this price, or they will not be filled and displayed. By setting a floor price, the overall eCPM will have an uplift in sacrifice for lower fill rate. If developers are only using one ad platform, we would suggest not setting a floor price since a lower fill rate would be harmful to overall revenue. 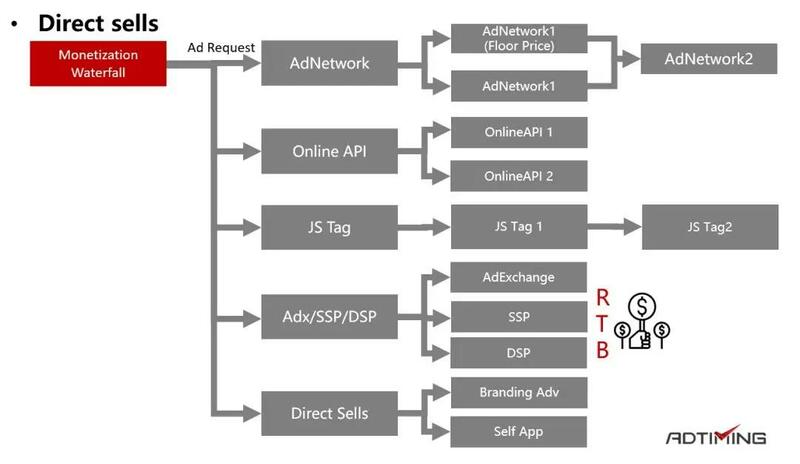 When connecting to multiple ad networks, developers can send both requests to ad networks with and without a floor price, to test if the bid price is acceptable for them. With this trick, eCPM can increase significantly. However, it should not be abused since it lowers the percentage of ad returned among ad requested and wasted chances to display ads. Besides, a high floor price is not suggested. Since an ad network with higher eCPM may not be able to take part in the auction with the restriction set by the floor price. Commonly, the ad networks offer 20-30% increase in eCPM for their first ad display. If we analyze ad network performance by hour/day, we may find that some platforms have lower average eCPM but higher first display revenue. Therefore, we can send a bid request for the first ad display separately and return to the ad network that offers the highest eCPM, thus increasing overall revenue. For instance, we divide ad network performance by hour. For the first hour, AdNetwork1 offer eCPM at $3 for the first display ad, and $2.6 for the non-first-display; AdNetwork2 offer eCPM at $2.4 for the first display ad, and $3.2 for the non-first-display. If we only look at the whole process, AdNetwork1 will outperform AdNetwork2, since in real cases, most users will be displayed with the same ad for more than once. So AdNetwork1 will generate more revenue than AdNetwork2. Many developers will make the mistake here. Actually, AdNetwork2 offer higher eCPM for the first display. But if we did not segment the data in detail, we would put AdNetwork1 at the first tier of a Waterfall, and have to take the eCPM loss for the non-first display ads. The best solution is to bid the first ad display separately, and in this case, AdNetwork2 wins the display. Then use the Waterfall model and put AdNetwork1 on the top to maximize overall eCPM. How to Build a Waterfall? So, how should developers build a more advanced Waterfall? What if they cannot segment in detail with their API integrator? Firstly, developers should set the Waterfall from their initial development phase with an ad placement strategy. Set up their standard ad placement and try to integrate ads with more user scenario. For instance, they can segment user based on their IAP behavior, and try new ad placement with different user group. In the future, with the increase in DAU and advance in technology, developers can build up their own monetization team for direct sales, or build their own ad platform to connect with more ad networks, to make more sophisticated optimization when they're mature. Considering the complexity of Waterfall, it is recommended to build it with the help of 3rd party ad mediation platform. After having a better understanding of monetization and Waterfall, developers may build Waterfall by themselves and may ask for help from the mediation platform regarding model design and step into the next phase of integration. The integration here may be based on RTB, and make comparison among platforms with audience segmented Waterfall. Based on our previous success cases, we would suggest developers put more emphasis on product design and user acquisition no matter if they're good at Waterfall or not. Entrust ad mediation platform for monetization. Let the professionals do their job. AdTiming Mediation Platform has now fully supportive for data-driven refined operation with Waterfall to control construction cost and offer professional operation management and data analysis for developers. 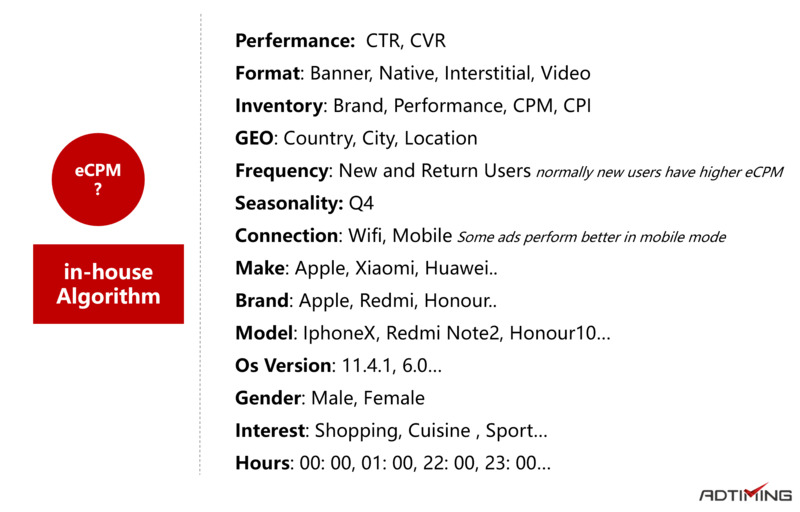 AdTiming automatically segments audiences with their network connections, brand preference, device, gender, interest, and frequency to increase overall eCPM for developers. Now, AdTiming is offering the audience a segmented Waterfall in a package, which is easy to manage and able to bring high revenue. AdTiming suggests developers focus more on product design and user acquisition. Leave monetization to the professionals of mediation platforms. In this series, we introduced What is mediation platform and has explained Waterfall – the core technology leveraged by mediation platform. In our next post, we will go through all the important criteria in evaluating the ad mediation platform and provide a thoughtful guidebook. Please stay tuned! 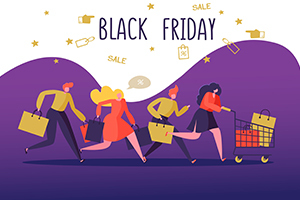 At the very end of this year’s “Black Friday / Cyber Monday” shopping frenzy, we observed the transaction data in the US, and we’d share some insights regarding the online and offline sales during “Black Friday/ Cyber Monday”. Why are the Major Players Hosting Algorithm Competitions? 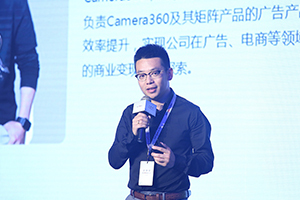 An interview with Dr. Zhang Wen Tao reveals that the same story can be found in mobile marketing companies. Going Global – What Should We Take Note?